There are times when an insurance company will try to offer a lesser settlement if there was a pre existing injury in your medical records. When you are injured in a car accident, the at-fault driver is generally responsible for paying for the resulting injuries and damages. What you are entitled to collect in damages depends on the extent of your injuries and the severity of the accident itself. If you are injured, you can receive both economic and non economic damages. Economic damages are those things that are quantifiable and concrete. They comprise things like medical costs and lost wages. 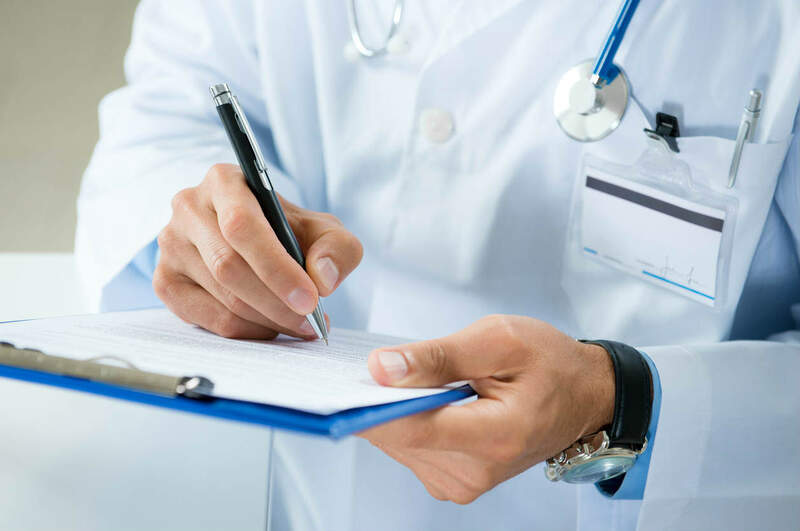 Although less subjective than non economic damages, which are made up of things like emotional distress and pain and suffering, there are times when the insurance company responsible for paying will challenge the validity of your medical bills and treatment. This can occur if you have a pre existing condition. What Is a Pre Existing Condition? A pre existing condition is any injury or chronic illness that a person has before they are in a car accident that may make their injuries worse. For instance, if someone had a back condition prior to being hit in an accident, the pre existing injury might have been made worse by the accident. An insurance company might make the case that the injured person would not have been injured at all if they didn’t have the pre existing condition. How Can a Pre Existing Condition Affect the Settlement You Are Offered? There are times when an insurance company will try to offer a lesser settlement if there was a pre existing injury in your medical records. They might argue that if you did not have the pre existing injury before you were in the accident, then you would not have been hurt so badly, and your injuries would not have cost as much as they did. The insurance company might also argue that they aren’t responsible for treatment going forward because the injuries you have are a symptom of your medical condition and have nothing to do with the injuries you sustained in the accident, even if this isn’t true. What Do You Need to Do If You Have a Pre existing Condition? If an insurance company is challenging your injuries due to your chronic illness or an injury that you sustained before your accident, then you will benefit greatly from having a St. Louis car accident attorney in your corner. While the fact might be that your injuries are be more extensive due to whatever injury you had before an accident, that does not negate the fact that if you hadn’t been in the accident, to begin with, your injuries would not have gotten worse. Don’t let an insurance company tell you otherwise. A car accident attorney will help to negotiate with the insurance company to find a fair settlement regardless of whether you had a pre existing condition or not. The right attorney has the experience to argue in your defense and will also know when a settlement is fair or if you should proceed to court. Should You Speak With an Attorney? An insurance company’s job is to minimize their liability by using things like pre existing conditions and other tactics to pay less. If you are being offered less due to an illness or injury that you had before you were injured in an accident, speak with a St. Louis car accident attorney at The Hoffmann Law Firm, L.L.C. to make sure that you are getting all that you deserve. Call us 24/7 at (314) 361-4242 for a FREE case evaluation.